Keep a record of all the great work your students are doing! It doesn’t end there! 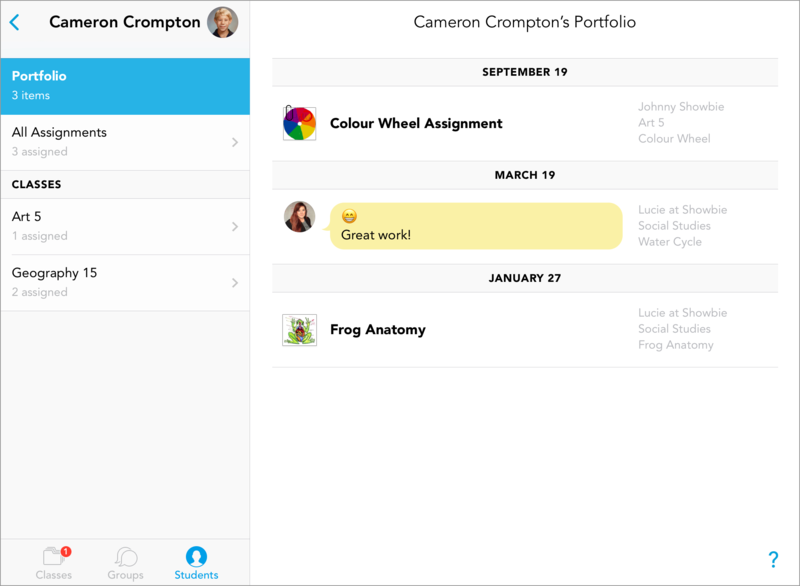 Parents can also view the portfolio so they can stay up-to-date with their child’s work. Teachers can also use the portfolio as a place to collect material for reference during parent meetings! How Portfolios are Affected by Archiving/Deleting/Etc.